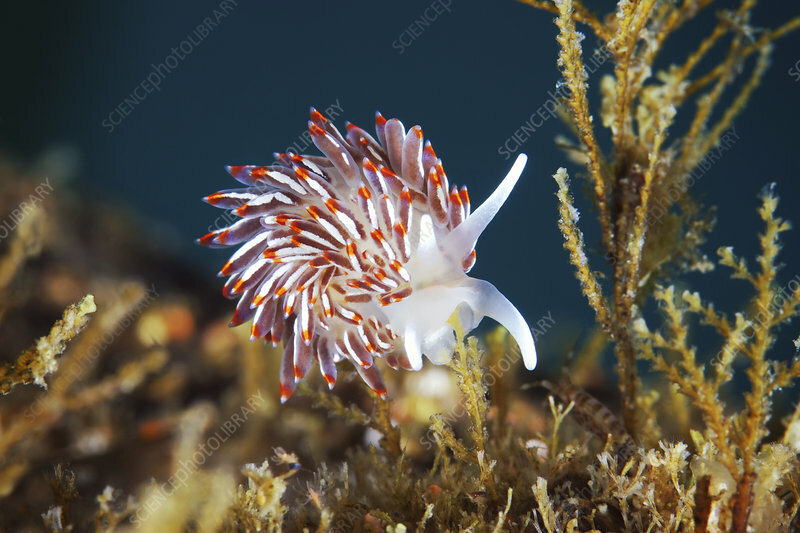 Cuthonella sea slug (Cuthonella soboli), a type of nudibranch or true sea slug. This grazing marine invertebrate uses two structures called rhinophores (protrusions on its head) to sense chemicals in the water. Also visible are the oral tentacles. As an aeolid nudibranch, this sea slug has cerata and cnidosacs (stinging cells) on its body. The pattern and colours of a nudibranch helps to warn predators that it is poisonous. Photographed in the Sea of Japan.